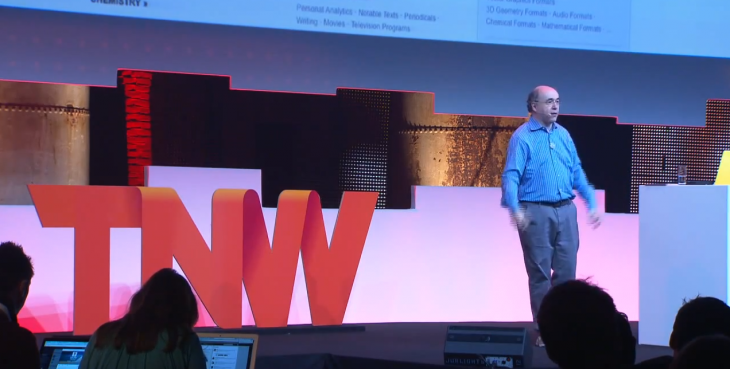 If you’ve ever wondered how Wolfram Alpha works, you’re in for a treat: On stage at TNW Conference in Amsterdam, Wolfram Alpha CEO Stephen Wolfram went into detail on how his service actually computes answers on the fly. To do this, Wolfram explains, you need massive data sets — so much so that Wolfram says “it’s not something you can forage from the Web.” He went on to state that “there actually isn’t enough data on the Web to get all of the things we need.” To make sense of the data, Wolfram Alpha must both compute custom answers (and not simply search for them), and of course, natural language processing plays a major role in understanding what’s asked. Stephen Wolfram goes much deeper, so slap on your thinking cap and take a peek at the video below. Don’t miss the rest of our coverage from The Next Web Conference Europe 2013.